China's Olympic and world champion table tennis star Zhang Yining married on Sunday, only weeks after winning a national singles title for her Beijing provincial team. 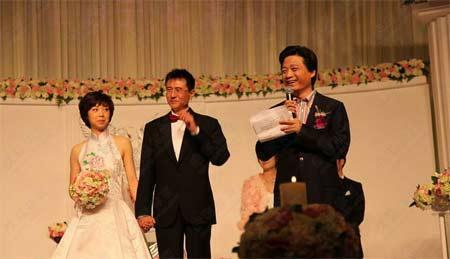 Zhang, who won two gold medals at the Beijing Olympics and two at 2004 Athens Games, wed businessman Xu Wei at a ceremony in a plush Beijing hotel, the Beijing Times reported. The 28-year-old table tennis star is currently ranked women's world number one by the International Table Tennis Federation and is one of China's most decorated champions. Earlier this month, she won the singles title at the China National Games and was the flag bearer for her Beijing team at the games' formal opening on Friday night.